It is 78 degrees, blue skies and there is a light breeze on the patio of Boston’s on the Beach at Delray Beach. Whether you are ready to watch the game or enjoy the weather and the view, this is the place for some good food and laid back atmosphere. 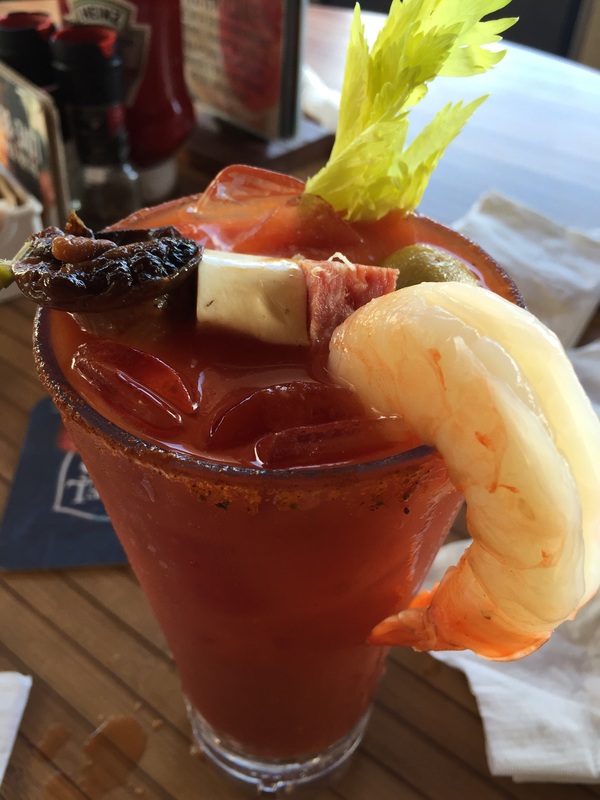 If you like Bloody Mary’s, The Wicked Mary was made for you! The Wicked starts with San marzano tomatoes, celery juice, lemon juice, balsamic vinegar, and fresh horse radish. Although it is usually served with vodka, I substituted for tequila. The rim is covered in Celtic sea salt and old bay, which integrates well with the drink as well as the fixings on top. Garnished with a colossal shrimp, pepper jack cheese, salami, piri-piri pepper stuffed olives and celery, this cocktail dominates. For appetizers, we ordered the peel and eat shrimp and the NFL wings special. There were about 20+ shrimp served on ice with cocktail sauce. They were tasty and on the smaller side, but a great appetizer portion for at least four people to share. We ordered the wings naked. This is the best way to order wings anywhere you go. Usually the wings are not tossed in sauce until you order them, so ordering them naked allows you to put your own sauce on. This solves any debate over the sauce and the wings always come out super crispy. They were cooked well and sure were crispy. 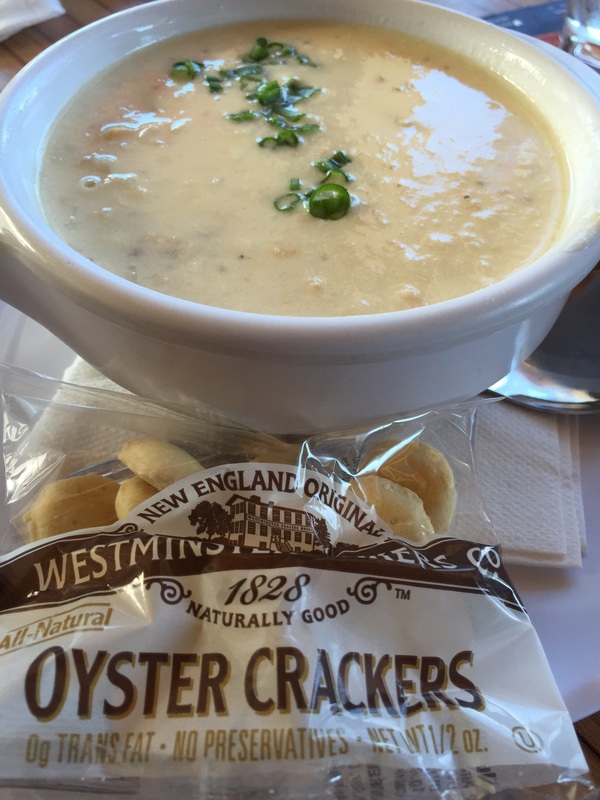 Boston’s is known for their New England clam chowder, which is expected from the name. The flavor of the chowder was great. It was a little thin for my liking and had limited amount of clams. It was not disappointing, but probably won’t blow you away. As for entrees, we had the grilled mahi tacos and a lobster roll. 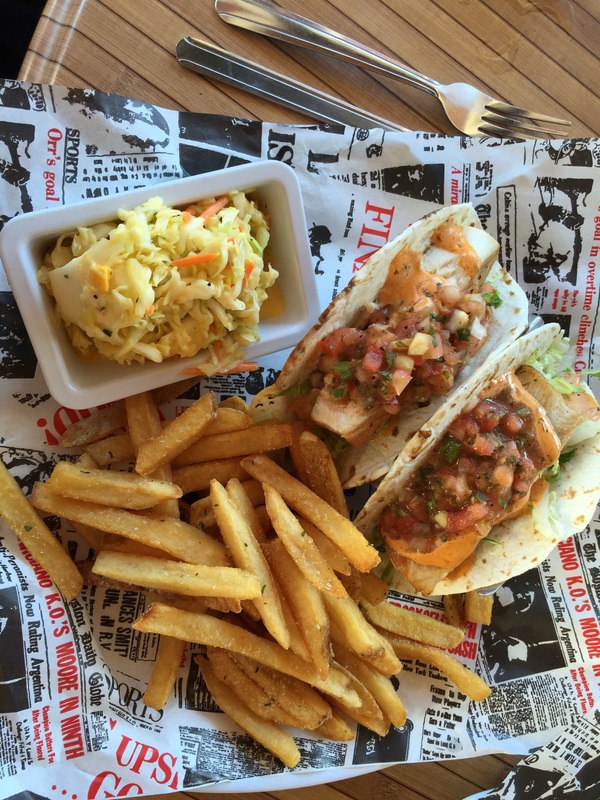 Most highly recommended is the grilled mahi tacos; two soft tacos with grilled mahi mahi smothered in smoked chipotle cream topped with slaw and salsa. 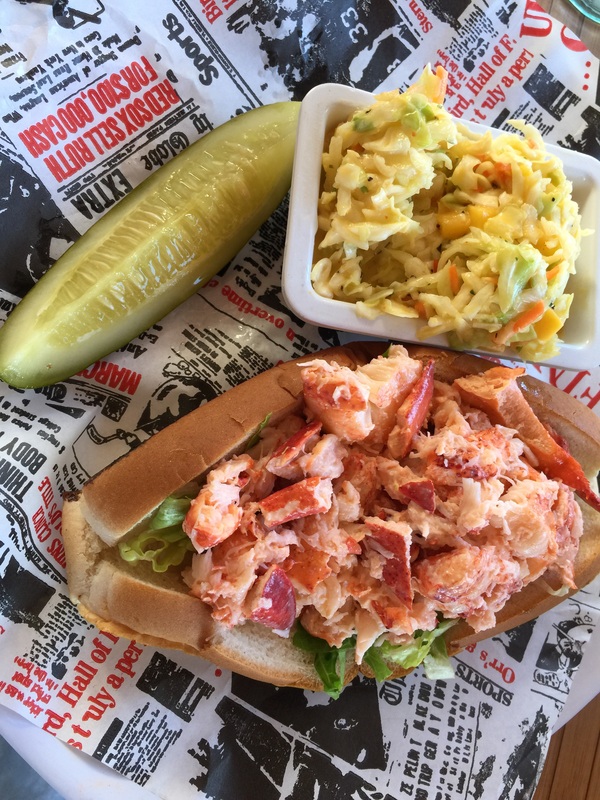 The lobster for the lobster roll is Maine lobster, not local. It is prepared with a touch of mayonnaise and generously served over lettuce on a potato hotdog roll. Both dishes are served with Boston’s homemade mango slaw, which was the star of the plates. Boston’s is a family friendly and dog friendly establishment walking distance to sand between your toes. The service was exceptional, thanks to Gina! Our food came out very quickly, but we did not feel rushed. Recommended for a casual lunch at Delray Beach. You can visit the website for Boston’s on the Beach here.